Terrorism threats to Singapore remain high, as Islamic State of Iraq and Syria (ISIS) continues to proliferate in the region and beyond. This is according to the Singapore Terrorism Threat Assessment Report 2019 of Ministry of Home Affairs’ (MHA), which was released on Tuesday, Jan 22. It also alerted that other groups such as Jemaah Islamiyah (JI) and Al-Qaeda (AQ) are regrouping. MHA said that these groups may resume large-scale attacks again in Southeast Asia, continuing to make the region as part of its “global caliphate”. ISIS’s terrorist propaganda continues to refer to its “East Asia” division, attracting foreign pro-Islamic State militants to travel to the region, MHA added. 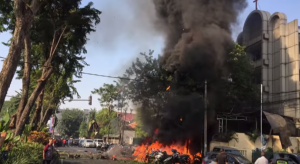 Last year, neighboring country Indonesia suffered a deadliest ISIS-linked attacks by Jemaah Ansharut Daulah’s coordinated bombings in Surabaya killing 28 people. There were 12 other terrorist attacks and 13 terrorist plots stopped by the Indonesian authorities. Malaysia also has its share of four terrorist plots but was prevented by authorities. There were also more than 80 militants arrested last year. While there has been no credible or specific intelligence of an attack being planned against Singapore since the 2017 report, it cannot rule out the possibility of an attack, the ministry said in the report pointing out that in 2016, Singapore was targeted in 2016 by two ISIS-linked plots. MHA did not discount home-grown self-radicalised group movements posing threats inside the country, as it continues to “detect Singaporeans and foreigners working in Singapore becoming radicalised by terrorist propaganda”. The report said that for the last two years, eight self-radicalised individuals— including two women and one youth — were dealt with under the Internal Security Act (ISA). Since 2015, there were 22 Singaporeans investigated under this law. Three of the eight cases were not ISIS related but were “influenced by other terrorist rhetoric” and wanted to participate in armed violence in conflict zones in other parts of the world, MHA said. Two radicalised Singaporeans Haja Fakkurudeen Usman Ali and Maimunah Abdul Kadir travelled to Syria to participate in the conflict there. MHA said these two had no intention to come back. Another radicalised Singaporean is Megat Shahdan Abdul Samad who worked in the Middle East but went to Syria to fight alongside ISIS. He was seen in two propaganda videos of ISIS in 2017. He is believed to have been killed, the report noted. When it concerns radicalized foreign workers, MHA cited that since 2015, 14 Indonesian domestic workers have been repatriated after they were found to have been radicalised. Last year, three work permit holders from Malaysia were arrested last year for their suspected involvement in terrorism-related activities and were repatriated. MHA claimed that none of the foreigners investigated were planning to mount attacks in Singapore. 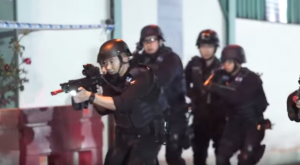 While the home affairs’ ministry seeks to provide the public with a better understanding and appreciation of the terrorist threat through releasing its Singapore Terrorism Threat Assessment Report, it also encouraged Singaporeans to be alert and better prepared. 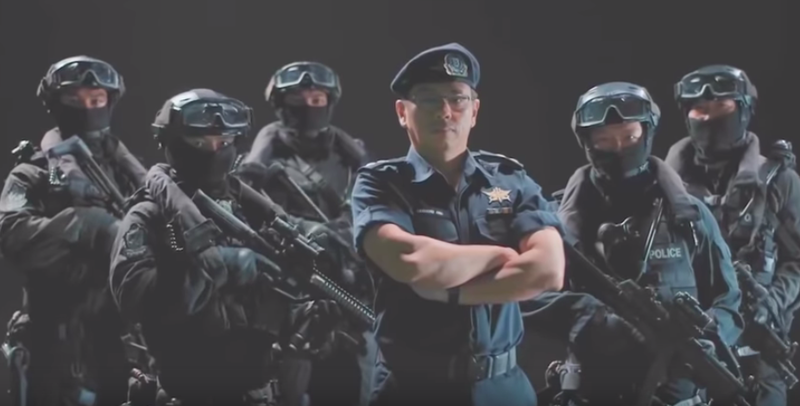 “It is important for Singaporeans not to become complacent” even if authorities have put measures in place to enhance Singapore’s counter-terrorism abilities, MHA stressed of the need for “a strong community response is equally critical” as authorities cannot uncover every threat. MHA conducted a national survey of 2,010 Singapore citizens and Permanent Residents aged 15 years and above in June and July last year. It was to measure the public’s perception and sentiments towards the terrorism threat and participation in emergency preparedness efforts as part of the SGSecure movement. Almost 60 percent recognised that Singapore is a target for terror attacks. Only around 20 percent felt that a threat was imminent, that an attack might occur in Singapore within the next five years. 89 percent said they would contact the relevant authorities if they spotted suspicious behaviour or packages when in a public place. 75 percent indicated they would alert authorities if they witness suspicious behaviour among their relatives and friends. 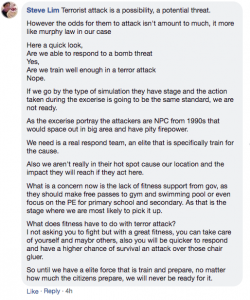 However, netizens viewed this terrorism threat in a different note, others related the issue to the government’s plan of procuring F-35 fighter jets for RSAF. There were Facebook users who took this as just fear-mongering, and below were their comments. Some online readers realized the importance of the civilians in counterattacking these terrorism threats. They did not fail to recognize the efforts of authorities too.